1993 OUR NINTH PASTOR Rev. 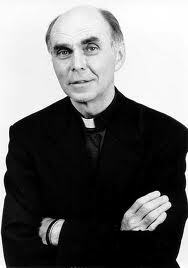 Thomas Powers arrived in 1993 to help guide our parish through a time of tremendous growth and change. 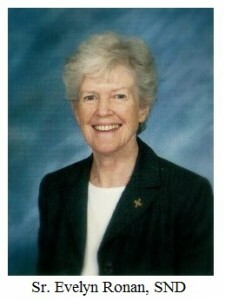 OUR FIRST PASTORAL ASSOCIATE 1993 also marked the arrival of Sister Evelyn Ronan, SND, who began her tireless invigoration of the spiritual life of our parish. 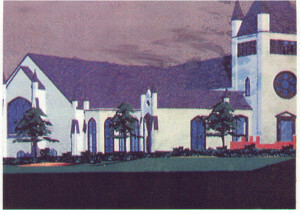 1994 A VISION FOR THE FUTURE Built in 1881, the last major renovation to our church had taken place in 1957. 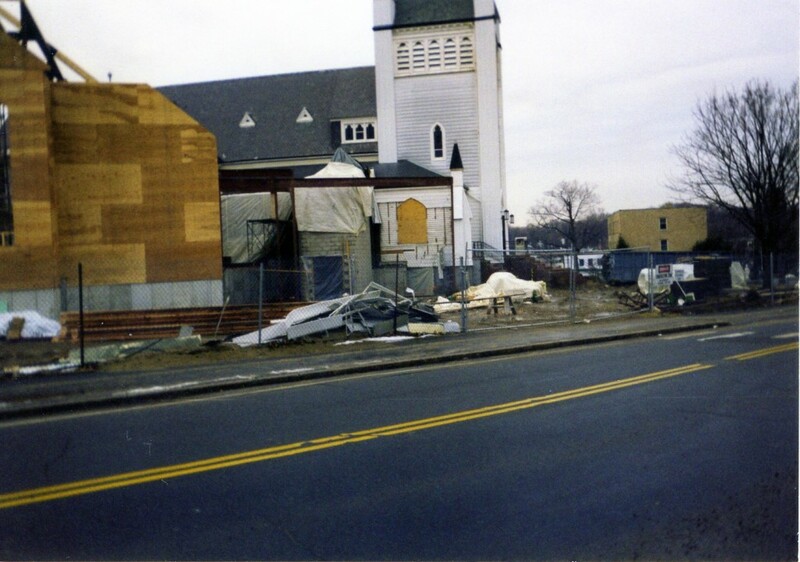 For the next 40 years, it had remained virtually unchanged even as the parish grew and major liturgical changes took place in the Church. 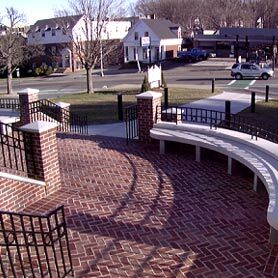 Major physical concerns included the seating capacity, lack of handicap access, fire code issues, and outdated safety and electrical systems. 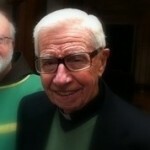 During his time as pastor, Fr. 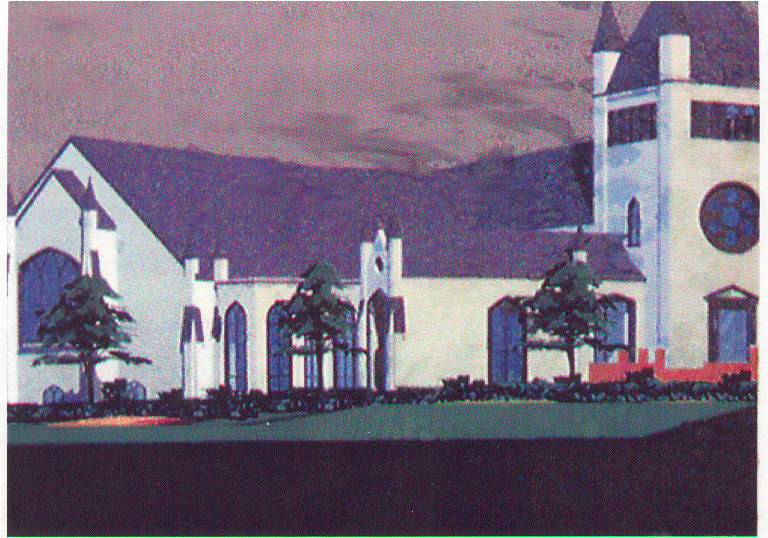 John had recognized that St. John’s would need a major renovation in order to remain vital, and the parish had begun the complicated discussion of how to proceed. Fr. 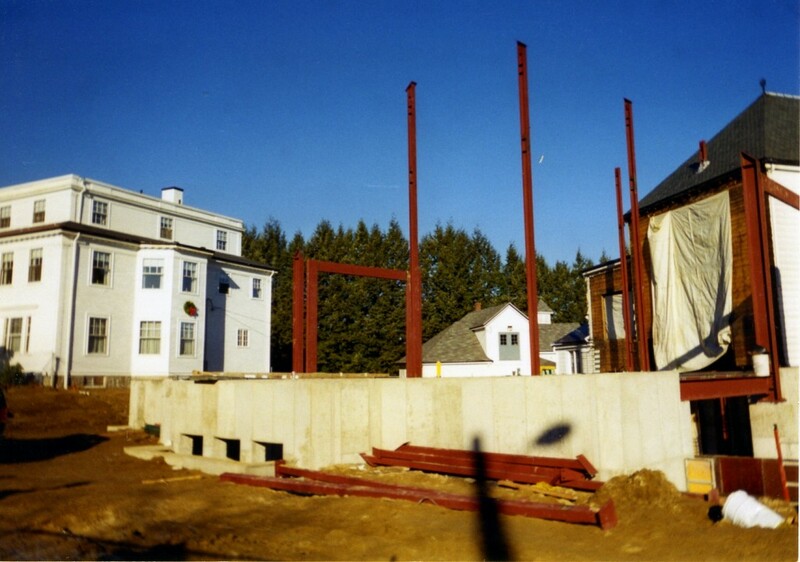 Tom assembled a Renovation committee in 1994, and a two-year study of our church’s physical spaces began. 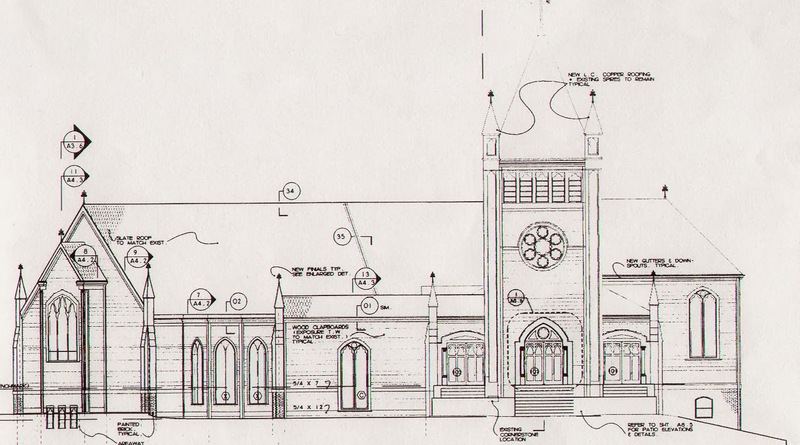 After this study, an architectural design was developed to address repair needs, parishioner requests, liturgical updates and future space requirements. 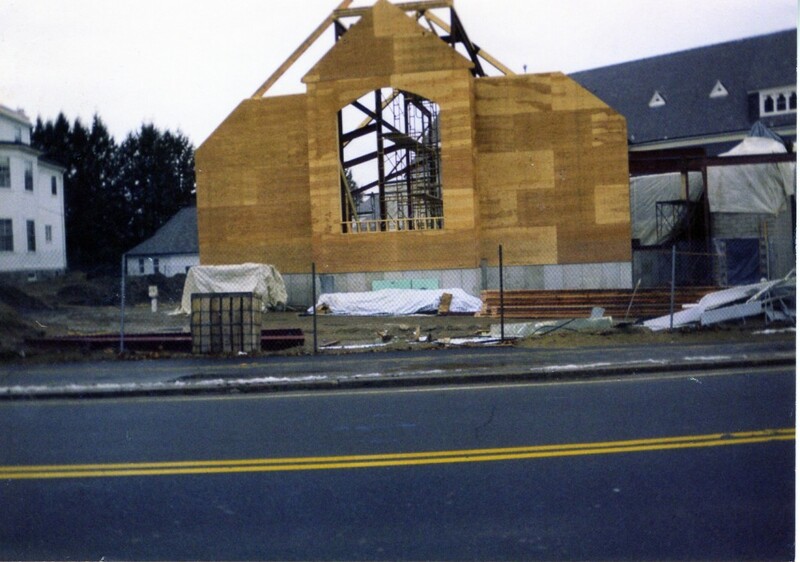 When the Renovation Committee, the Parish Council, and the Pastoral leadership presented the proposed redesign of the church to the parish in 1997, they viewed it as a continuation of the work that Fr. John had begun. 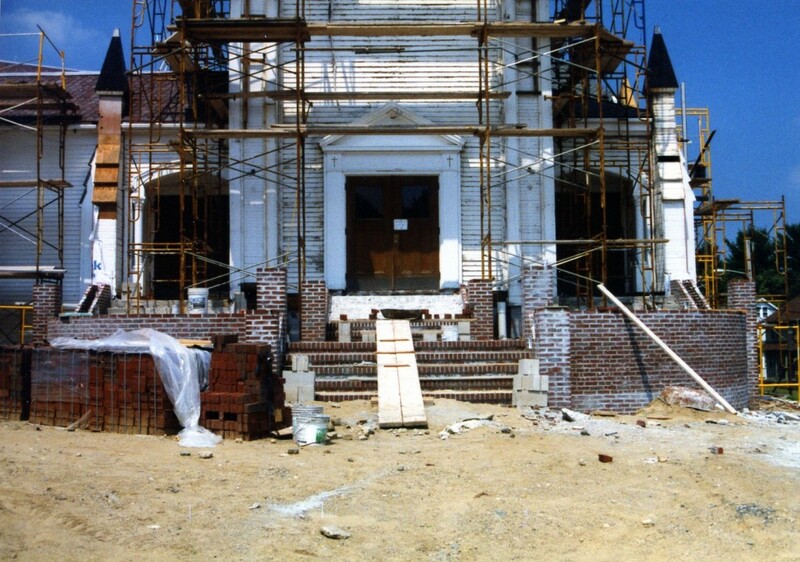 1998 THE WORK BEGINS In July of 1998, St. John the Evangelist church was closed so the renovations could begin. 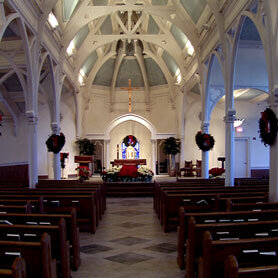 For the next 18 months, Sunday Masses were celebrated in Philbin Hall at Saint John School, with weekday Masses at Mt. Saint Vincent and St. Philip Neri. 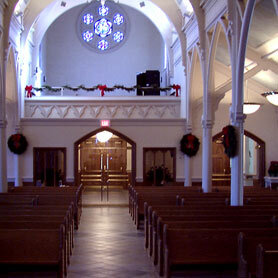 Weddings and funerals were held at St. Paul’s, with First Communion and Confirmation at St. James the Great. 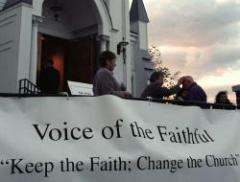 2002 KEEP THE FAITH, CHANGE THE CHURCH Revelations of the sexual abuse crisis in the Catholic Church shocked parishioners. 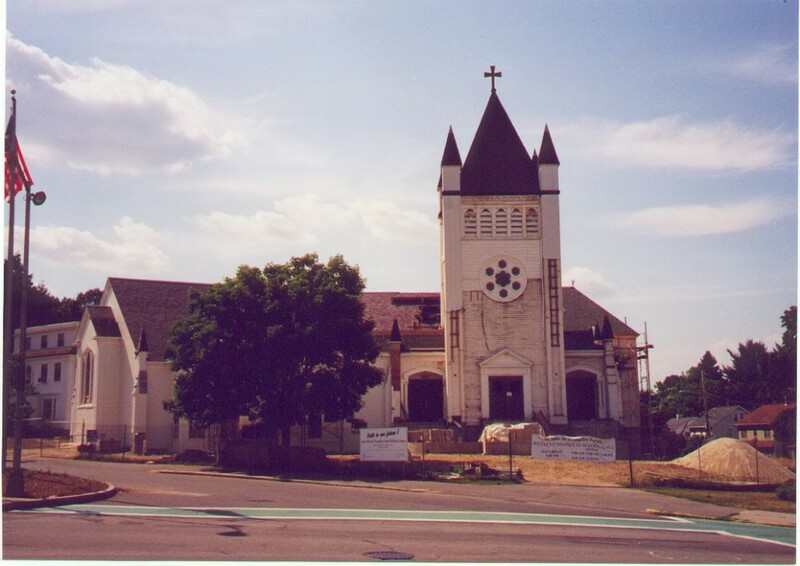 In February of 2002, listening sessions were held for an hour after each Mass on two consecutive weekends to allow parishioners to express their frustration, share their pain, and discuss the crisis. 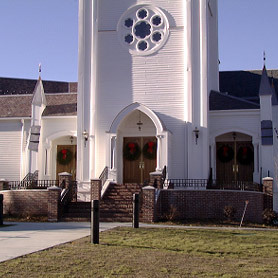 Hundreds of parishioners participated in these sessions, and a weekly 90-minute session was initiated on Monday evenings. 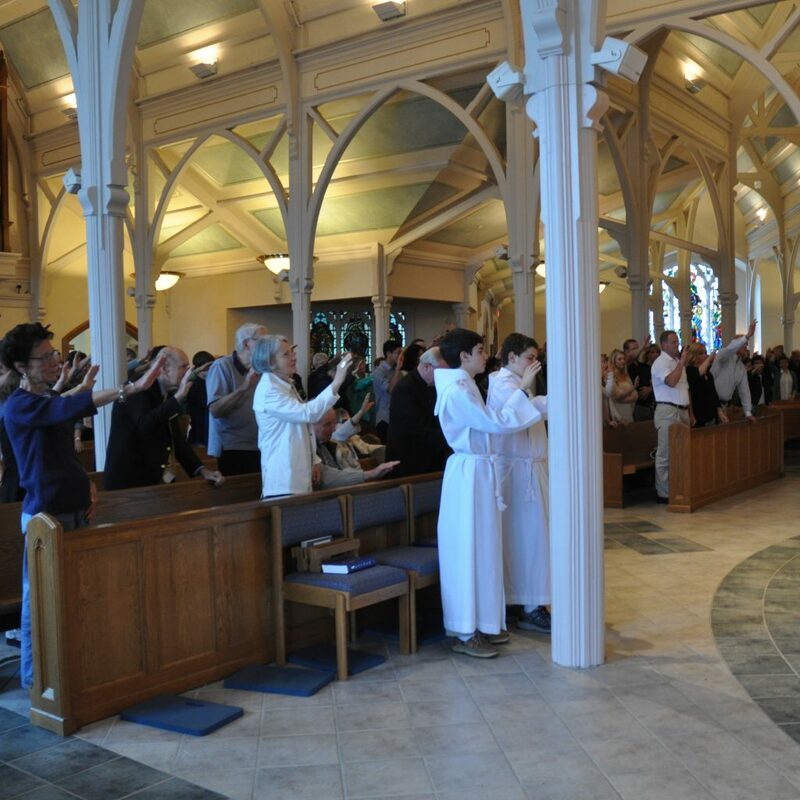 Soon Catholics from other parishes, needing a place to have their voices heard, joined the weekly Spirit-driven dialogue, leading to standing-room-only crowds exceeding 700 by the spring, and Voice of the Faithful was born. 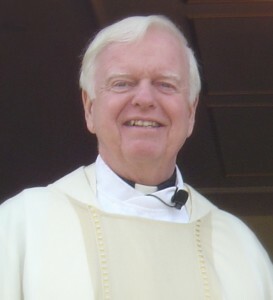 2002 DEACON TOM SMITH ORDAINED In September of 1998, parishioner Tom Smith and his wife Mary entered into the Permanent Diaconate Formation Program of the Archdiocese of Boston. 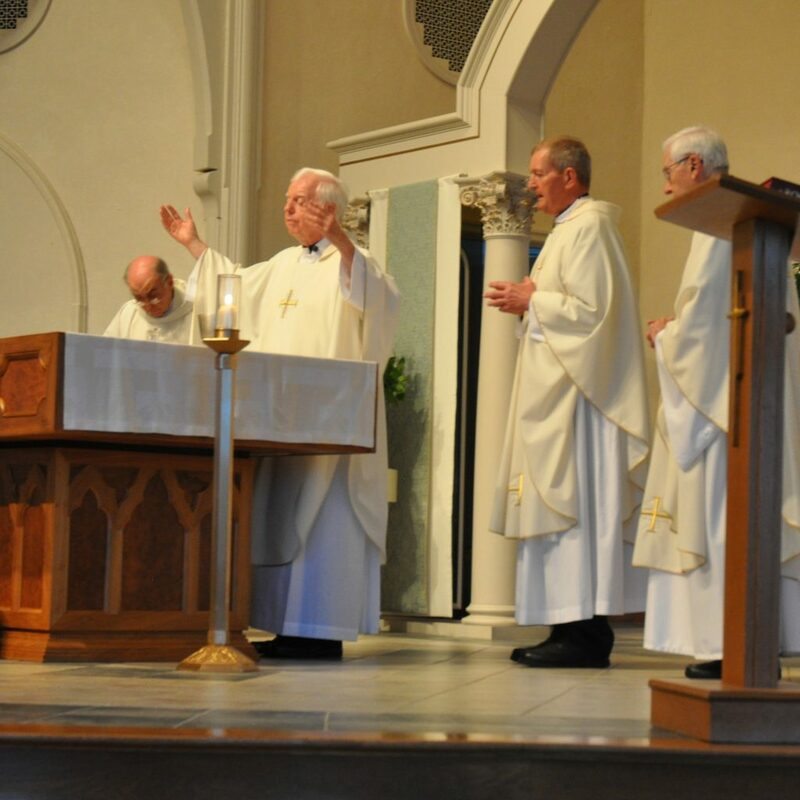 Ordained in 2002, Deacon Tom served a vital role in the spiritual and liturgical life of the parish until his retirement in 2013. 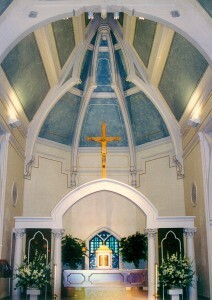 2004 REV. 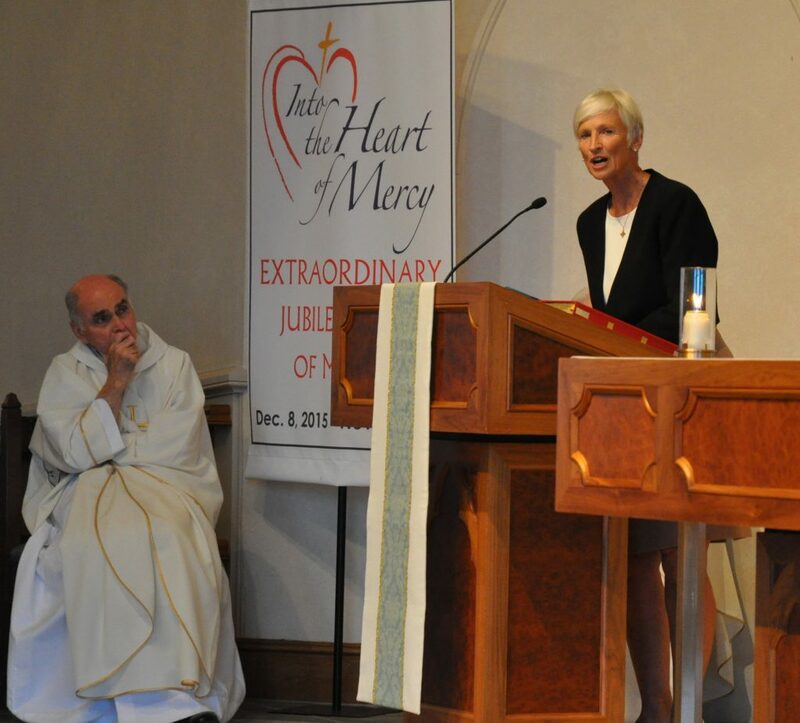 J. BRYAN HEHIR IN RESIDENCE Father Bryan Hehir, widely regarded as among the most distinguished and effective Catholic voices in the American public square, arrived at St. John and quickly became integral to the life of the parish. In addition to celebrating Mass, Fr. 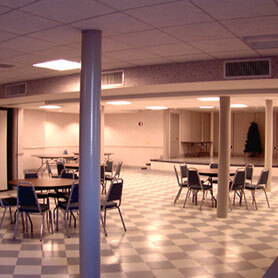 Bryan’s Advent and Lenten lectures regularly attract large crowds. 2008 PLANNING FOR THE PARISH OF THE FUTURE As Catholics throughout the country and indeed throughout the world began to come to grips with the serious reality of a Church operating with fewer and fewer priests and religious women, it became apparent that the parish of the future would call for broader participation by parishioners. 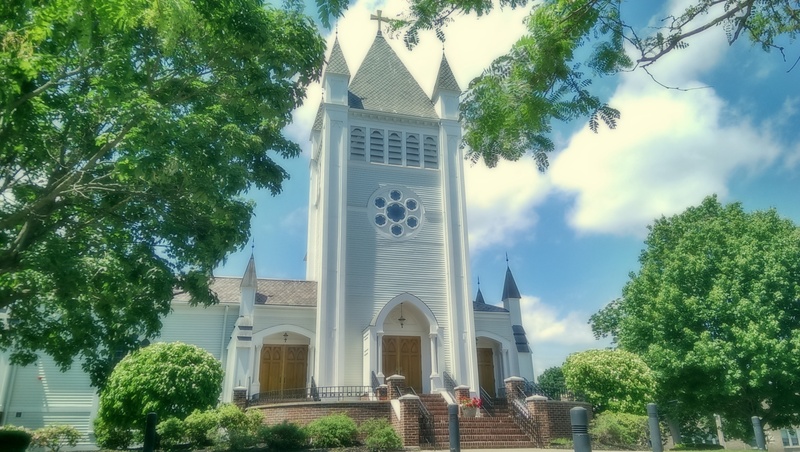 Father Tom and our Parish Pastoral Council created a committee called the Pastoral Planning Group to coordinate planning for the future of the parish, both to raise awareness and to prepare the parish for the changes to come. 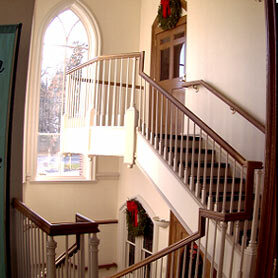 2008 A JOYFUL NOISE For some time, the music program at St. John’s had been interested in acquiring a pipe organ. 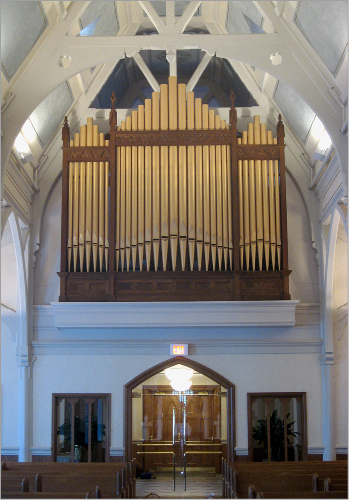 When Sacred Heart Church in South Lawrence was closed in 2004, a 1936 Casavant Opus 1531 organ became available, and after a major restoration and rebuild it was delivered to St. John in 2008. 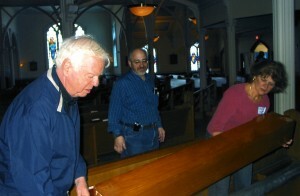 Carried into the church by volunteers, the organ was installed in the choir loft and dedicated at a special Mass on Sunday, October 19, 2008. 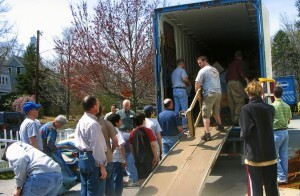 2011 NEW COMMISSIONS CREATED Fr. 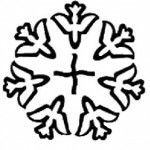 Tom and the Parish Pastoral Council accepted the recommendation of the Pastoral Planning Group to create new commissions on Adult Faith Formation, Liturgy, and Parish Communications to facilitate and encourage broader participation by parishioners in the leadership and spiritual life of the parish. 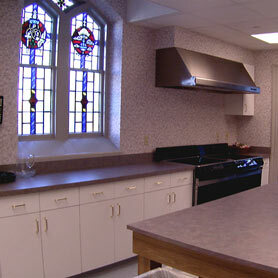 2011 DISCIPLES IN MISSION In January, Cardinal Seán O’Malley established an Archdiocesan Pastoral Planning Commission (APPC), tasked with developing a recommendation for a pastoral plan for the Archdiocese of Boston. In December, the APPC released its initial proposal: Disciples in Mission: A Pastoral Plan For The Archdiocese of Boston. This plan included the recommendation that the 288 parishes of the Archdiocese be organized into approximately 125 Pastoral Collaboratives. St. John–St. Paul was one proposed collaborative. 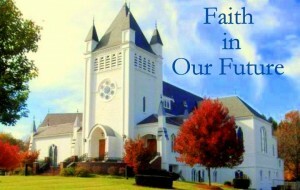 2012 PREPARING FOR A NEW VISION OF PARISH Here at St. John’s, feedback on the Pastoral Plan and proposed collaborative with St. Paul was solicited directly by the Parish Pastoral Planning Group via the bulletin, suggestion boxes in the church, email, the parish website, an online survey, and through a series of Town Hall meetings held in March and April. 2013 WELCOME FATHER JOHN CONNELLY In June of 2013, Fr. 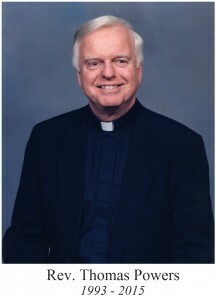 John Connelly, who had been responsible for the education and formation of both Fr. Tom and Fr. Bryan at St. John’s Seminary, retired from Sacred Heart in Newton Center after 30 years as Pastor, and joined us in residence at St. John. 2013 FAITH IN OUR FUTURE In November of 2013, following a months-long, parish-wide planning study including focus groups, interviews, and mailings, Father Tom announced the inauguration of a capital campaign – Faith in Our Future – with the goal of raising $1,250,000 to address much needed updates to parish facilities. 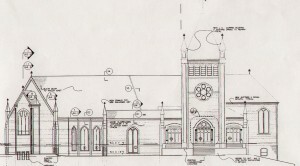 Sections of the original part of the church, most notably the tower, needed significant repair and reconstruction, the heating and cooling systems needed updating, and the parking lot needed repaving and improved lighting. The campaign would allow us to address important projects that had been deferred over the years because we were unable to fund them through our regular operating budget and Grand Annual collection. 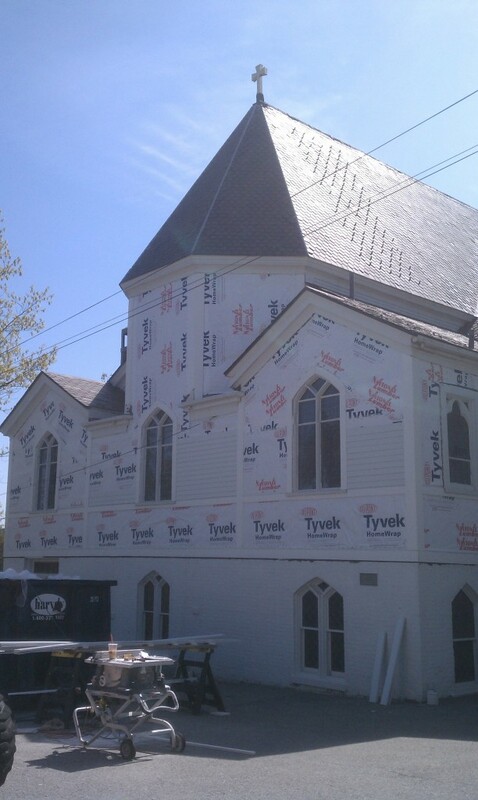 2014 RENOVATIONS BEGIN After exceeding our Capital Campaign goal of $1,250,000 thanks to the generous support of faithful parishioners, renovations moved forward in the spring, continuing through the summer and fall and concluding in early 2015. 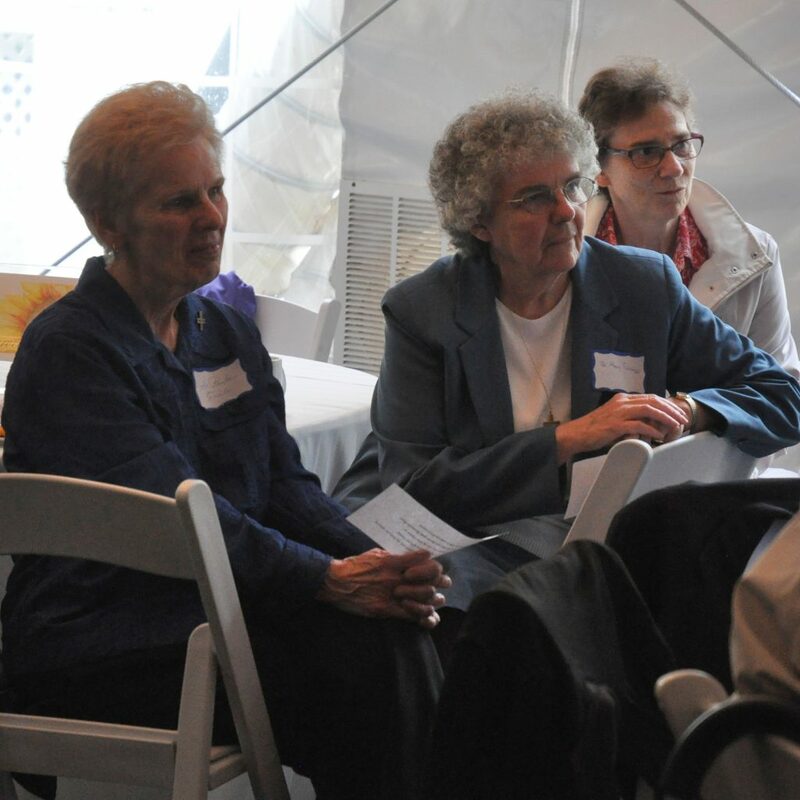 2014 ST. JOHN-ST. PAUL COLLABORATIVE ANNOUNCED In September, the Archdiocese of Boston announced eighteen Phase Three Parish Collaboratives, including the St. John-St. Paul Collaborative, as part of the Disciples in Mission Pastoral Plan. 2015 FR. TOM WEEKEND On the weekend of May 3, the Parish celebrated Fr. Tom’s 22 years of ministry at St. John the Evangelist Parish with special expressions of thanks at each Mass and a reception to allow parishioners to extend personal best wishes before his retirement at the end of May. 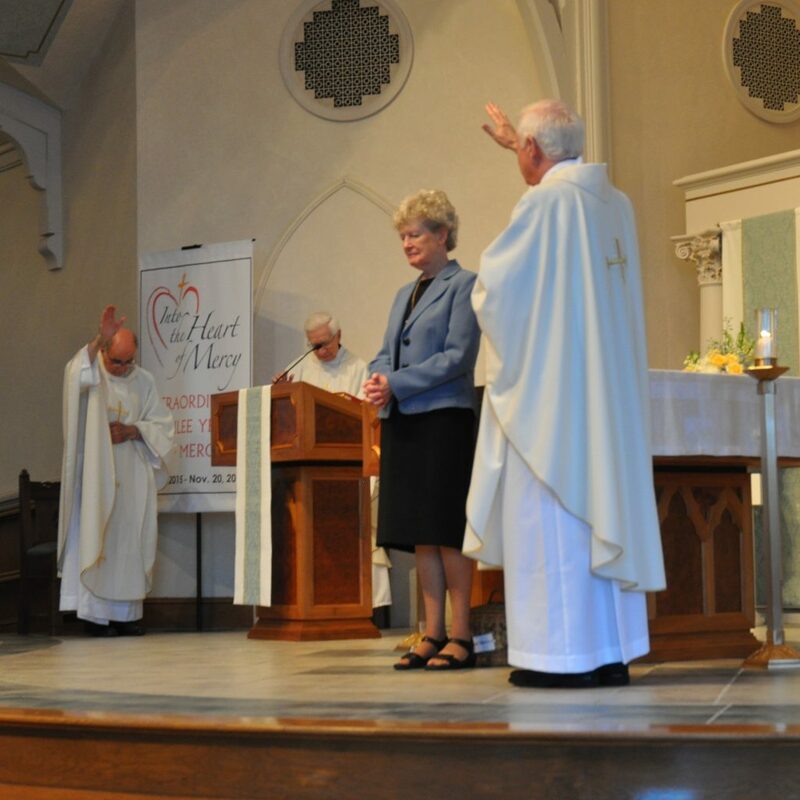 2015 PARISH ANNIVERSARY CELEBRATION On Sunday, May 17, St. John Parish recognized the 140th Anniversary of the first Mass celebrated at our church and the 125th Anniversary of the founding of our Parish with special Masses and a parish-wide celebration. 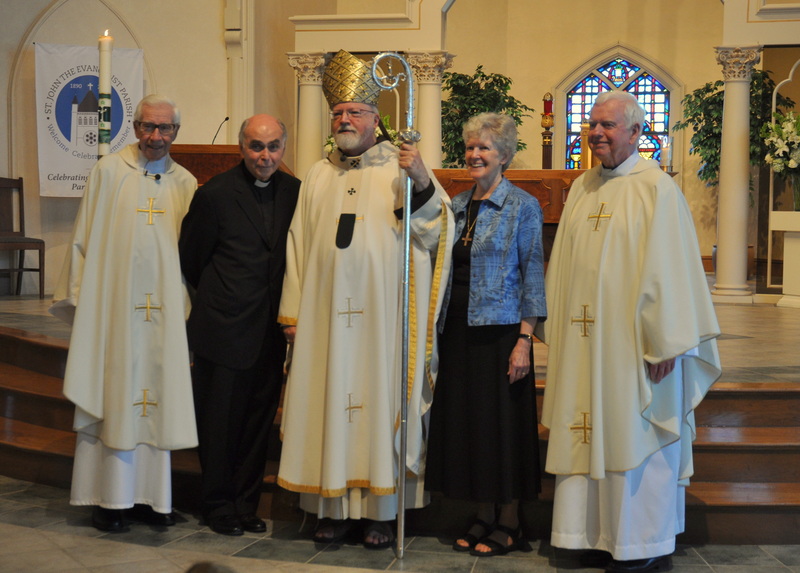 2015 OUR TENTH PASTOR AND OUR NEW COLLABORATIVE On June 2, St. John the Evangelist Parish became part of a new pastoral collaborative under the Disciples in Mission pastoral plan for the Archdiocese of Boston – the St. John-St. Paul Collaborative. Rev. 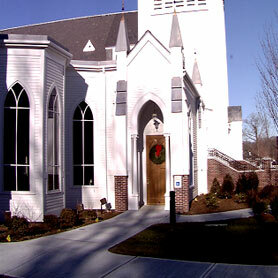 Kevin Sepe became the Pastor of our new Collaborative, with Rev. Arthur MacKay as Parochial Vicar. 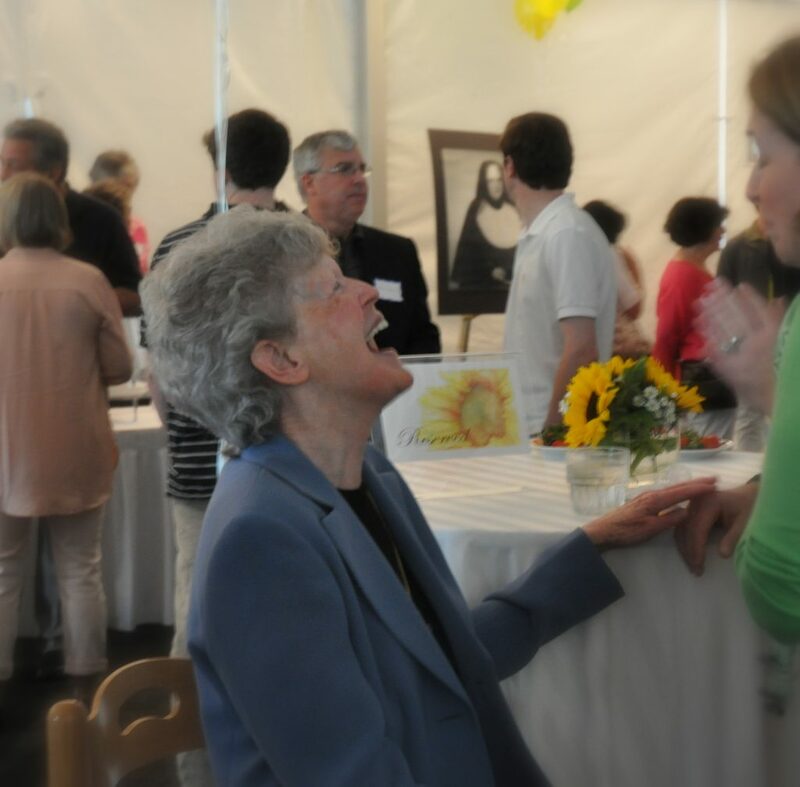 2016 WITH GRATITUDE FOR SR. EVELYN RONAN, S.N.D. 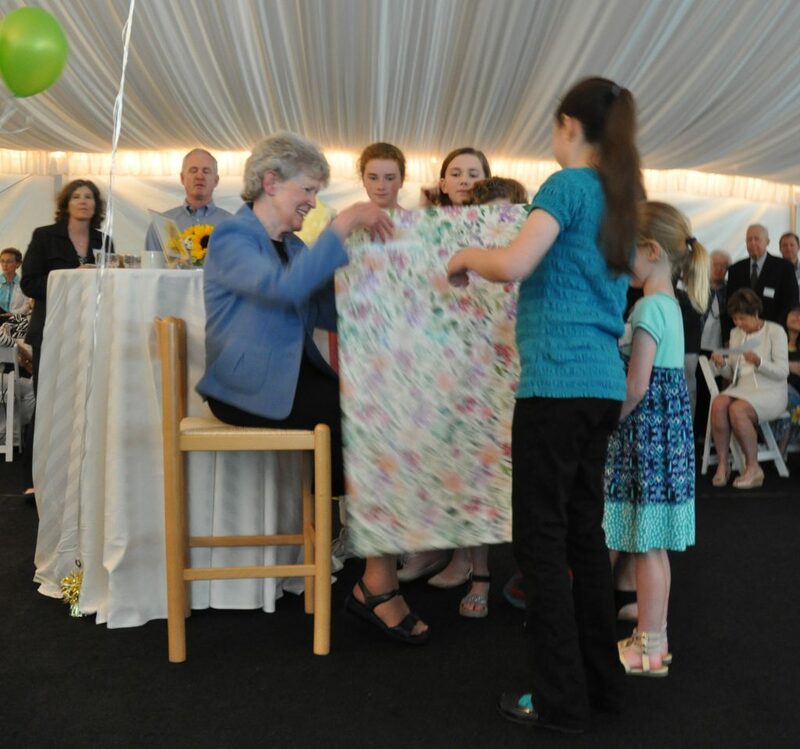 After 22 years of devout, faithful service to our Parish and all our Wellesley and Newton neighbors, Sister Evelyn Ronan, SND completed her ministry at St. John the Evangelist Church at the end of May. 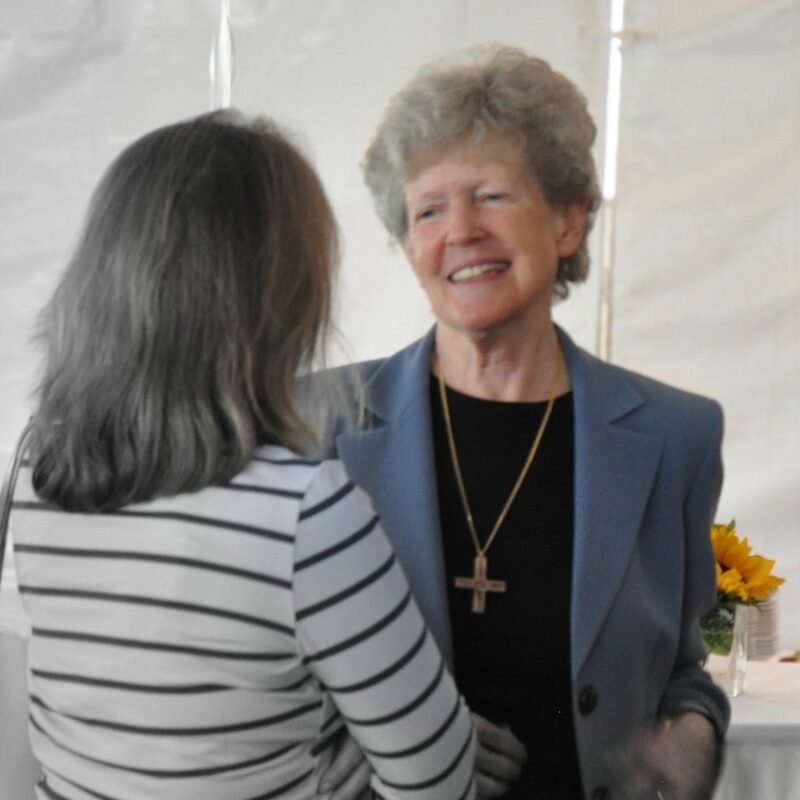 On June 5, a celebration was held to rejoice and honor Sr. Evelyn, so that we, as a parish community, could express our immense appreciation for the extraordinary gift of her devout pastoral ministry. 2016 OUR ELEVENTH PASTOR – WELCOME FR. JIM! 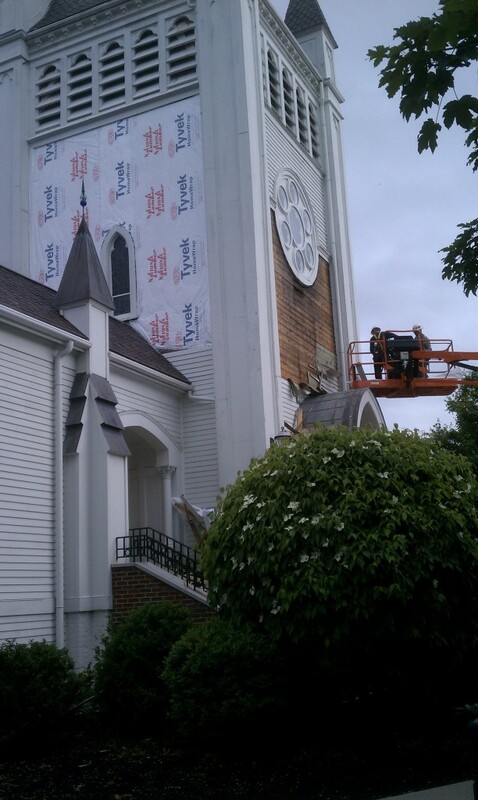 On July 1, 2016, Rev. 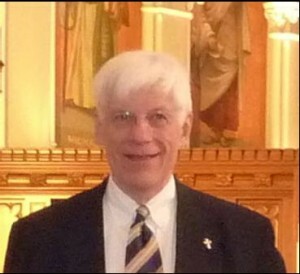 James Laughlin became the pastor of our St. John-St. Paul Collaborative. Fr. 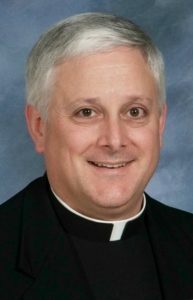 Jim was ordained a priest of the Archdiocese of Boston in 1991, and served as a parochial vicar at St. Francis of Assisi Parish in Braintree and St. Eulalia Parish in Winchester before becoming pastor of St. Ann Parish in Wayland in 2006. 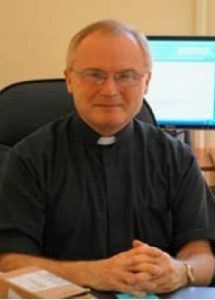 He is a canon lawyer and served as a judge of the Metropolitan Tribunal before his arrival in Wayland. 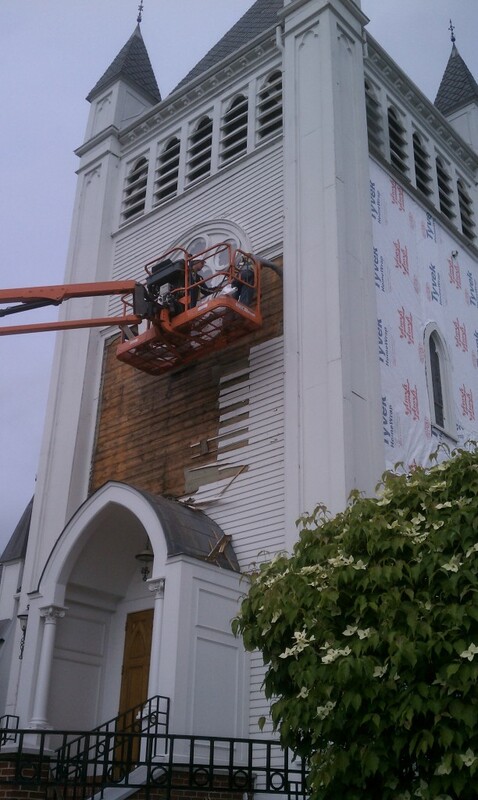 In 2008, he became pastor of St. Zepherin Parish, serving Wayland and Natick, in addition to his role as pastor of St. Ann’s. 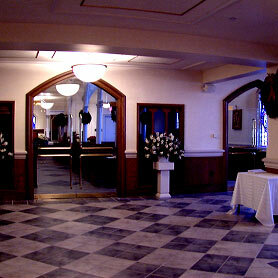 On January 1, 2011, the two parishes merged to form Good Shepherd Parish and Fr. Jim was appointed as its first pastor. 2017 WELCOME FR. ROBERT! In May of 2017, our parochial vicar, Fr. Arthur MacKay, was asked by Cardinal Sean to begin a new assignment as a hospital chaplain. In June of 2017 we welcomed Fr. 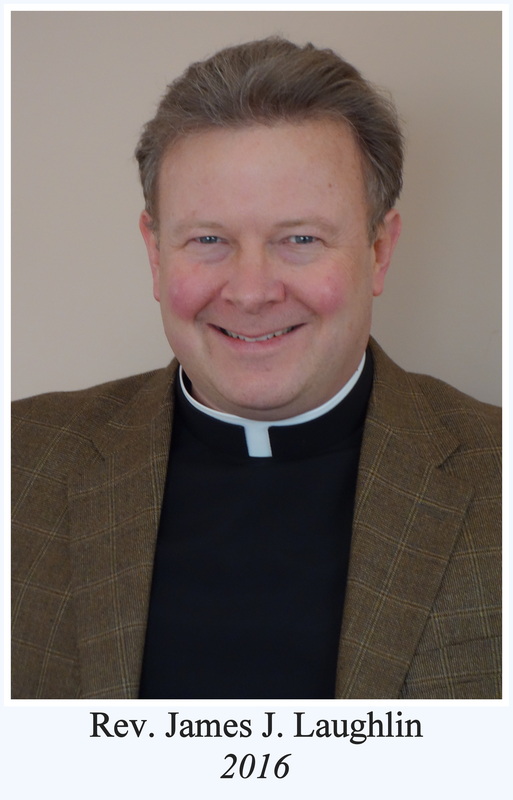 Robert J. Blaney to the St. John-St. Paul Collaborative as our new Parochial Vicar.